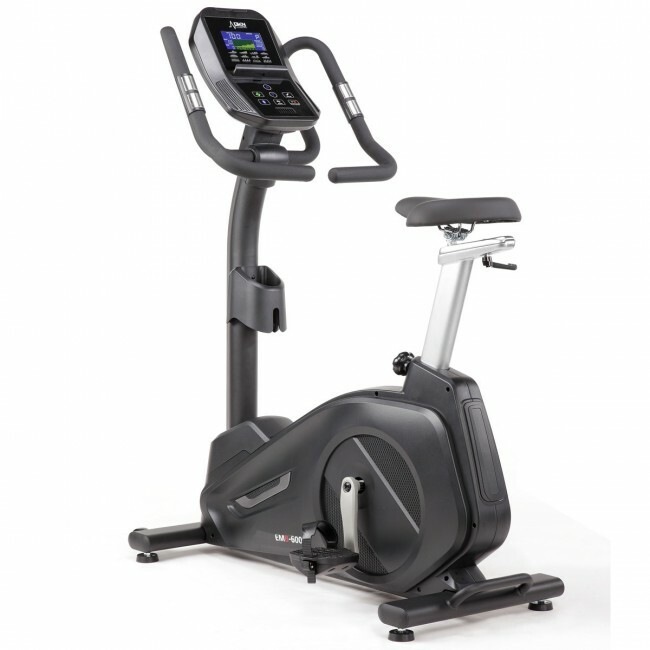 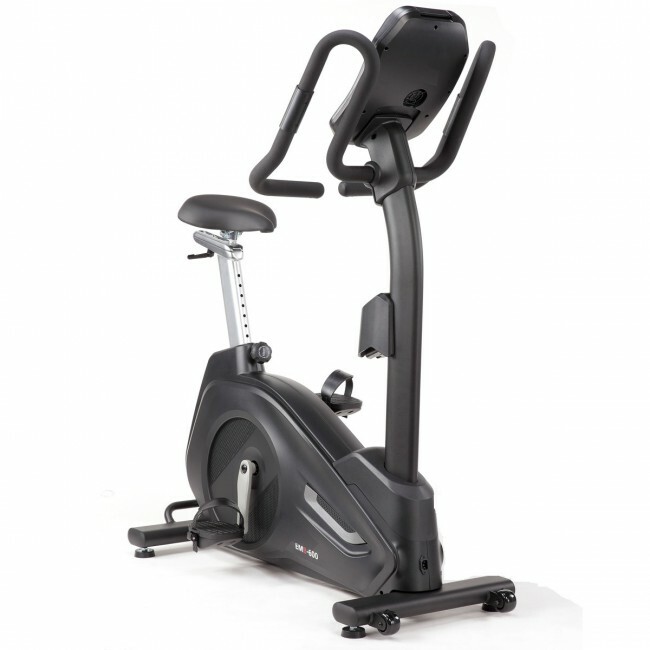 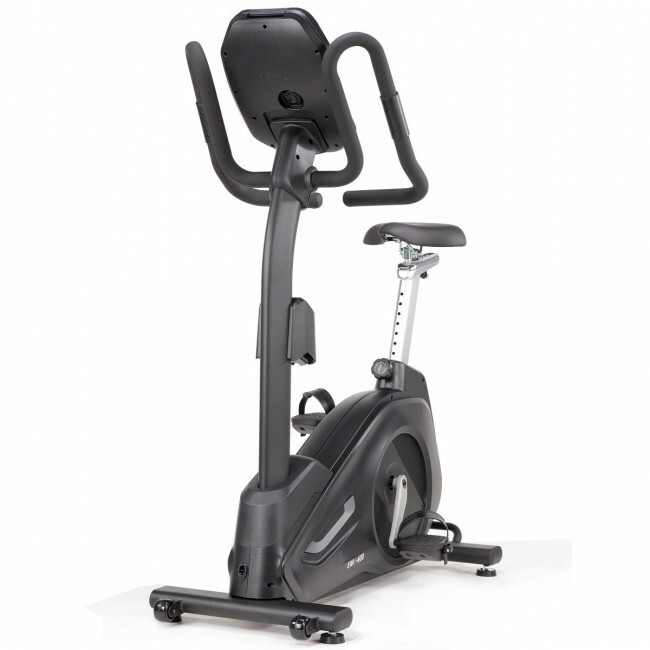 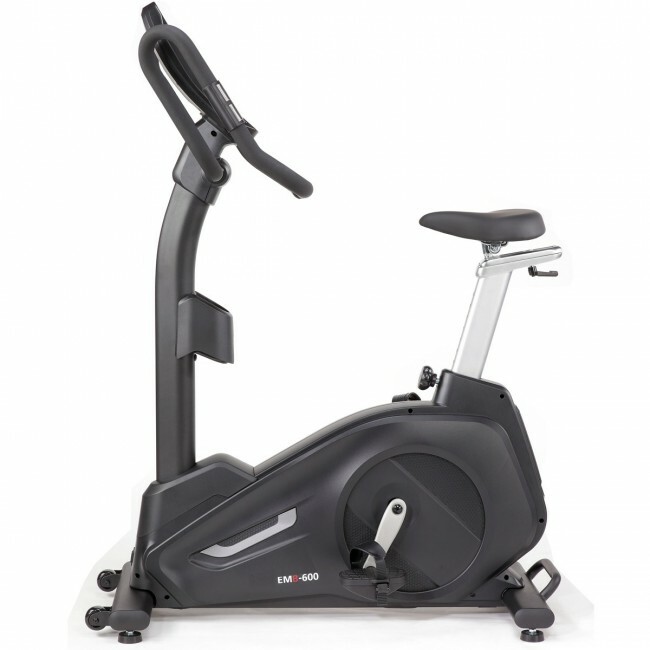 The EMB-600 exercise bike has a heavyweight 16kg flywheel delivering a super-smooth and quiet pedal movement. 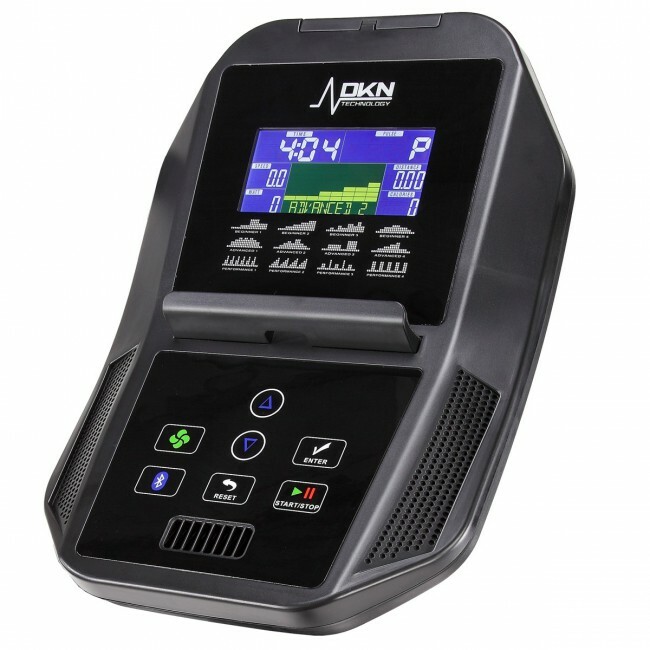 It features an innovative EMS brake system providing quick adjustment of 32 digitally controlled resistance levels. 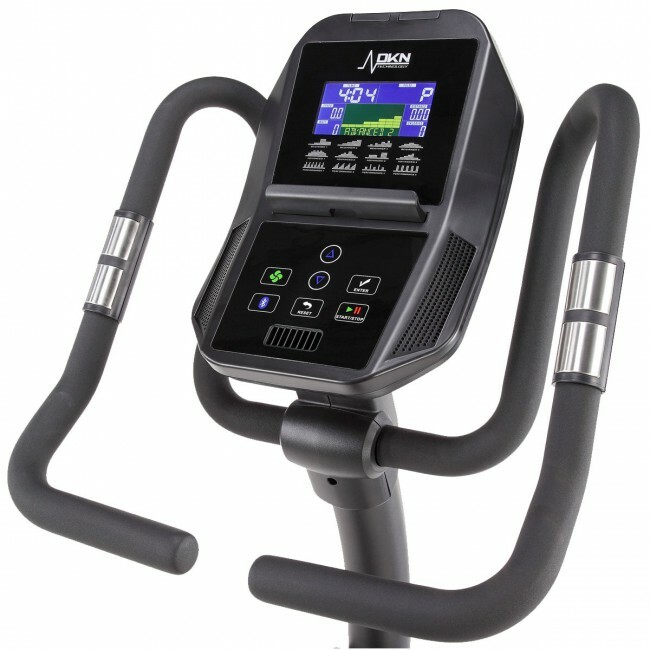 The bike is fitted with a clear, user-friendly LCD display and 4 user profiles (each with age, height, gender and weight) allow for a more personalised feedback. 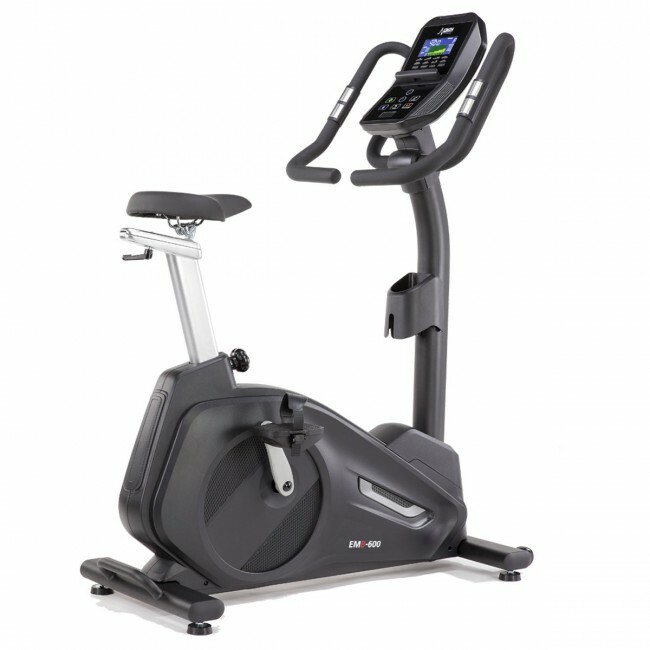 To let you turn your machine into fun, interactive fitness device, the console works with compatible apps via Bluetooth connection and there is a selection of 16 motivating programmes to keep you entertained and focused on the goal. 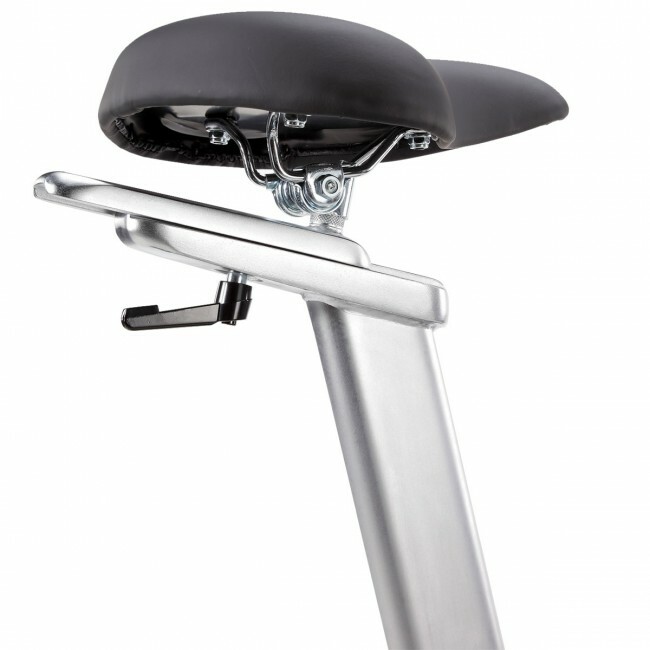 For the most comfortable riding position, the EMB-600 offers a large padded adjustable seat, multi-grip handlebar and oversized cushioned pedals with adjustable straps and a 2-degree inward slope.